Unemployment and underemployment are high among adults with Austism Spectrum Disorders (ASDs). If you are one of the employers missing out on the talents of this group, consider how your organization could benefit from their unique way of seeing the world. Many people with ASD look to contribute to workplaces that respect their needs as well as their abilities. 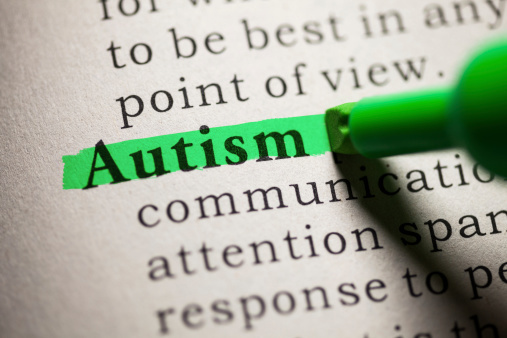 Autism Spectrum Disorder (ASD) involves difficulty with communication and interactions with others, and some type of limitation and repetition in interests and behaviors. 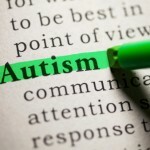 The autism spectrum is broad, spanning those who are non-verbal and severely disabled to people who are highly intelligent, with astonishing ability in specific areas. People with ASD have distinct brain processes and experience the world differently. Analysis of historic figures strongly suggests that many “geniuses” of the past likely had an ASD, including: Albert Einstein, Thomas Jefferson, Emily Dickenson and Andy Warhol, and today’s Dr. Temple Grandin, a thought leader on ASD. Most of us know someone who has an ASD diagnosis. According to figures from the Center for Disease Control, there are currently more than 3.5 million Americans who have an ASD, with about 1 in 68 children who receive the diagnosis. Just as the population of those with ASD varies tremendously, so do their needs in the workplace. Some may need no accommodation, while others may benefit from several. A variety of strategies may support employees with ASD in being productive and effective. Due to social interaction difficulties and anxiety, job candidates with ASD would interview better with additional options to demonstrate their abilities. A detailed written job description with step-by-step instructions is necessary. Avoid euphemisms or jokes, and ask new employees to describe their understanding of tasks. Job skill training for all new employees is vital. Use videos or role-playing for employees with ASD to show appropriate behavior concretely. Provide staff development around how to accommodate differences and resolves issues positively and directly. Mentors are helpful. Provide detailed schedules with clear expectations for meetings, work start, end, and break times. Offer advance notice of changes when possible for time to transition. Describe workplace culture, including etiquette, humor, dress, and other “unwritten rules”. Reassurance will help your new employee deal with anxiety and perfectionism. Consider allowing written responses when requesting feedback, or for communication between coworkers. Clear, honest, and constructive feedback on performance is crucial. Sensitivity is often important; many people with ASD have been criticized or even bullied in the past. Where appropriate, allow your new employee to adjust the environment to handle sensory sensitivities, i.e. wearing earphones, changing a light bulb, or taking breaks. Recognize that lack of eye contact probably means a break from sensory overload, not disrespect or inattention. Learn more at CareerOneStop’s Hiring Workers with Disabilities, Job Accommodations, and About the ADA. And see the Job Accommodation Network’s Autism Spectrum Disorders.